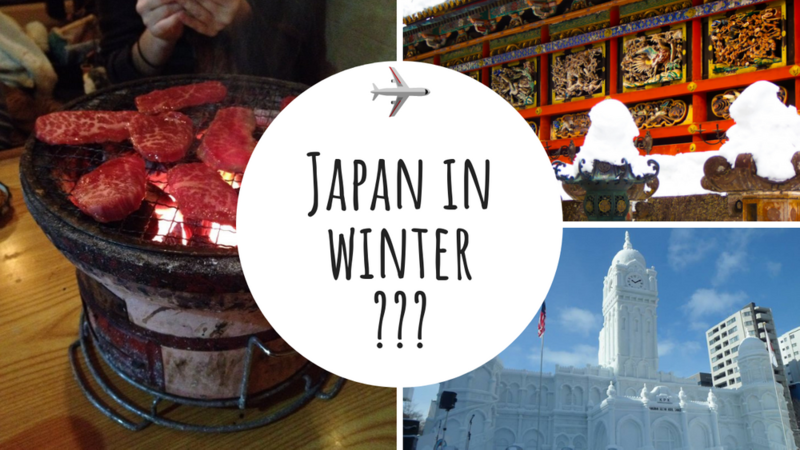 Why you SHOULD visit Japan in WINTER! Why not trade your holiday in a tropical island for a magic winter in Japan? The long road to winter has already started. It is pitch black when you’re walking home as days are getting shorter, the cold is chilling you to the bone as you start to pull warm coats out of your closet. You are now dreaming of sipping a coconut on the beach under the hot sun of a Caribbean island. But what if we told you that spending your winter out in the cold could turn out to be a wonderful experience in one of the most scenic countries in the world? Winter is when Japan brings all its magic to the visitor. We could go cheesy on this one and say that it is home to some true winter wonderland, but that actually wouldn’t be too far from the truth. 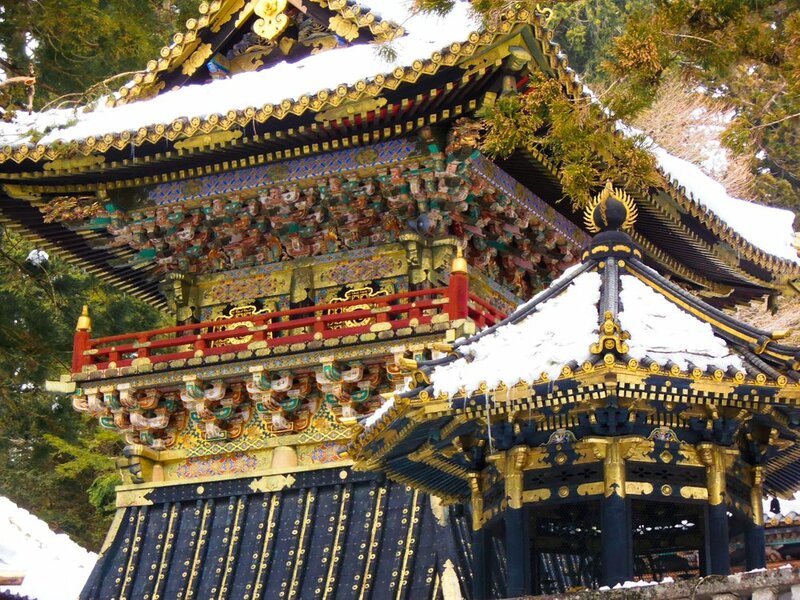 Temples in Japan are some of the top tourists’ spots you will want to visit. Truth be told, they are never as beautiful as they are in winter. 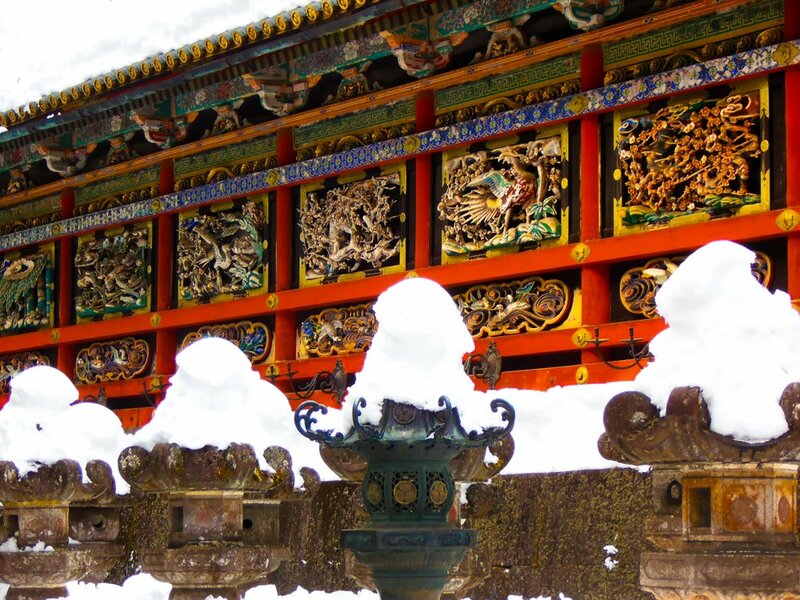 Just stop and imagine an ancient golden temple at the top of a mountain covered in a thick layer of white and pristine snow in Nikko or a bright red Shintô temple in the heart of Tokyo with some immaculate snow piling on top of it. The Japanese countryside and numerous parks are equally as charming during winter. It might not be as comfortable to walk through a park during a snow storm but we can promise you will get some vivid images that will make you feel like you’re in the middle of a Japanese tale of old. 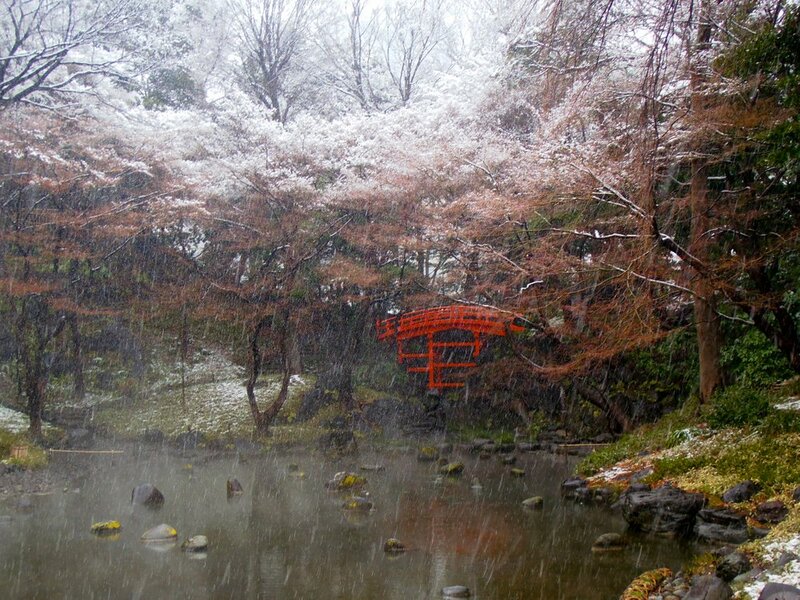 Just imagine for a second one of the most typical portrayal of a Japanese garden: the infamous red bridge. Now add some snow to that mental image and you get a work of art. Most people would say that their favourite season to visit Japan is either fall, when red and orange leaves adorn the landscape, or spring, when cherry flowers are blossoming everywhere and people celebrate the traditional Hana Matsuri, the Flower Festival. Yet, cherry blossom season is not an accurate science and you can actually see cherry flowers blossom during winter depending on the year, especially by the end of February and by mid-March. Forget what you know about Japanese cuisine and just indulge in some of the best comfort food you will ever get. Of course, you will want to try some sushi and for very good reason because the sushi you will taste in Japan are simply heaven-sent, especially when compared to the ones you can get at home. But there is a variety of other dishes you will find particularly appropriate for this time of the year when all you need is something filling to warm your freezing body. Ramen: Japanese say there is nothing like a bowl of boiling hot ramen to appease your soul and this is especially true during winter. There is a wide variety of ramen dishes and you could go for the traditional pork broth as well as go slightly off-track and try some typical Hokkaido ramen with local cheese. Beware of their level of hotness though as you could end up burning your tongue so do not be surprised if you hear the locals around you eating their noodles with loud slurp, as this is the right way to do it. Yakiniku: you could say that this is a variation of your average BBQ but it would be more accurate to describe it as a variation of the Korean BBQ the world came to love. 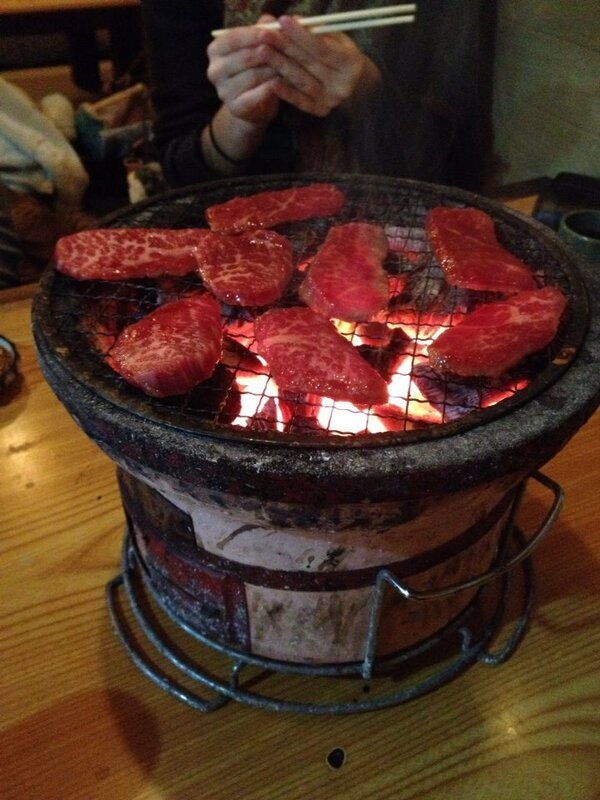 Yakiniku, comprised of beef meat or pork, is exactly what you need during cold peaks in winter. If you can, go for the most traditional restaurants when you have to grill your meat yourself on top of some charcoal. If you are prone to stomach-ache or other digestion issues though, it would probably be best to try the experience only once or twice. Okonomiyaki: a typical Kansai dish, this staple comfort food is often described as a Japanese pancake. Made of a variety of ingredients, including eggs, cabbage, meat/seafood and bonito flakes (katsuoboshi) on top of it, an okonomiyaki will most certainly feed your appetite. But they are also an enjoyable experience in its own right as you will be responsible for cooking it on a boiling special hotplate called teppan that will substantially warm the atmosphere. For an even more filling dish, you can choose to add noodles on top of it all which is an authentic combination from Osaka. Hot springs are almost everywhere in Japan and there is one for every taste. If you’re looking for a rural atmosphere without many tourists around, check the spa towns of the Japanese Alps, such as Bessho Onsen or Fukuchi Onsen. Further north, you’ll be able to witness some monkeys taking a winter bath in the small town of Yudanaka Onsen or on the island of Hokkaido. There will be plenty of onsen opportunities down south too, such as the town of Kinosaki Onsen, known for its lantern-lit bridges, or the village of Yunomine Onsen, right on the pilgrimage route of Kumano Kodo. If you are only staying in Tokyo and don’t have much time but still want to try an onsen once in your life, that’s not a problem as you can always get to the Ooedo Onsen in Odaiba. This large facility holds numerous pools within its walls but also quite a few on the outside, protected from outsiders’ eyes by a tall fence. What makes it most interesting though is that it attempts to recreate the atmosphere of the Edo period (1603 to 1868) so that you can feel like you’ve jumped back in time when you walk across its big hall and stop at its food stalls. The entrance will cost you ¥2612 (about US$25 ) but you can get a discount if you arrive after 6pm and pay ¥2072 (around US$20) instead. Besides, Odaiba is stunning at night when some of its buildings are being illuminated, like the Fuji TV headquarters. There are just a few things you should be aware of before you indulge into an onsen, the first being none other than that you should forget everything you know about intimacy. Locals go fully naked into their hot springs and you will be expected to do the same, apart from wearing a traditional yukata to access the locker rooms. It can be a difficult step when you’re around your friends and family but you will eventually get used to it. Be aware that onsen are gender-segregated too. You will be expected to shower before entering the pools as well as after so be sure not to miss these crucial steps. Another thing you might want to know is that tattoos have quite a bad reputation in Japan, being associated with the yakuza. Most hot springs will not accept you if you have a tattoo so try and research the place you’re planning to visit beforehand to check their policy on that matter. One way to circumvent some of these rules is to stay at a ryokan with its own private onsen that you can rent for a few hours. Some ryokan even offer rooms with their own hot spring for those who want to enjoy on their own terms all the things that make an onsen a great experience. As we said before, tourist peaks are usually in fall and spring, particularly in November and April, besides the traditionally packed summer season. This means that you can plan a more affordable trip in winter. You will therefore find cheaper flight options in January, February and early March, so that could be a good time to plan your journey. Tourist spots are stormed by tourists all the time. We would be lying if we pretended you won’t queue or find yourself surrounded by other foreign tourists in winter but you will find it less crowded anyway. Try to visit Kyoto or the ancient capital of Nara during summer and winter and you will be able to tell the huge difference. Another place you could go to is the southern region of Okinawa with its myriad of islands scattered in the Pacific ocean. The weather is usually gentler on the archipelago, although you shouldn’t expect it to reach tropical temperatures. Of course, Okinawa is a top bathing destination renowned for its beach tourism and you would obviously miss on that part during winter. However Naha, the capital, is full of visiting opportunities and Okinawa is large enough for you to find something you would love during winter time. 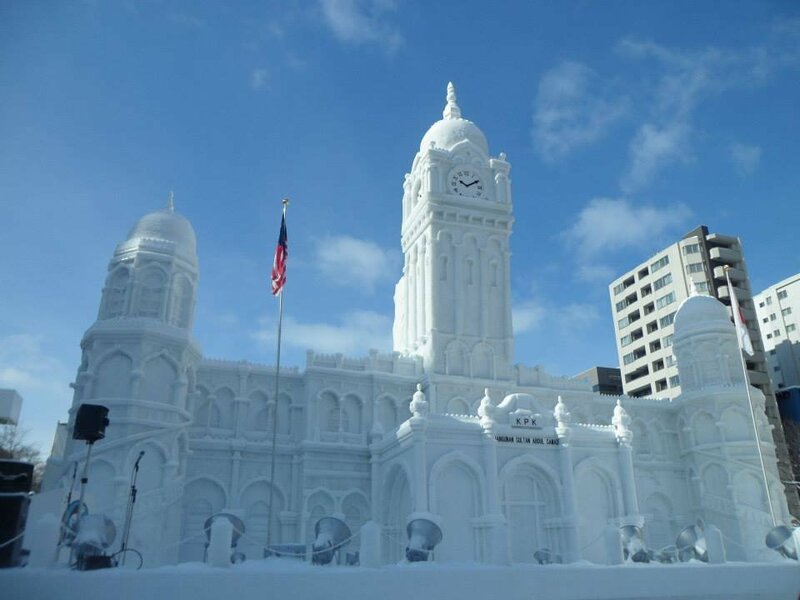 Yet, the exception to this rule is the northern island of Hokkaido as winter is the peak tourist season there, due in particular to the iconic Winter Festival (Yuki Matsuri) held every year in Sapporo in the beginning of February. This doesn’t mean that you should avoid Hokkaido at this time of the year though as winter brings its absolute best: daunting mountains covered in snow, brilliant food, awesome snow festival, great hot springs and skiing opportunities.